ENGLAND'S TRENT BRIDGE OPTIONS: Who plays in the third Test (with or without Stokes)? England have named an unchanged squad for the third Test against India at Trent Bridge, though Ben Stokes could yet be included depending on the outcome of his affray trial. We’re in the rare position where the England Test team doesn’t have to change a thing. How many times have we been able to say that in the last few years? The question of Ben Stokes’ availability is a matter for the legal system first and foremost, and then we’ll see… Personally, if there’s any doubt at all about Stokes’ mindset, fitness or readiness, I would caution against picking him for now. If England do want to bring Stokes back, it’s the devil’s own job deciding who he replaces. England will be keen to retain the left-arm angle and verve provided by Sam Curran, which won them the first Test, after all. They are reluctant to rest Jimmy Anderson or Stuart Broad in any circumstances, let alone with a series still live. Chris Woakes has just scored his maiden Test hundred and has a formidable bowling record in England. Jos Buttler’s place suddenly looks at risk. But Buttler is exactly the kind of player who could reel off a match-winning innings; he was picked for that rather than his consistency. And I am wary about overbalancing the side with too many allrounders. Watchers of recent T20 matches at Trent Bridge have reported some unusually dry surfaces, and as long as that’s the case the frontline spinner stays in my XI. It’s not Adil Rashid's fault he did not bat, bowl or catch at Lord’s. So maybe Curran steps down for now. He will probably be back before the series is out. The other seamers all have to perform, that’s for sure. And let’s all hope there is no repeat of the 2014 England v India bore-draw at Trent Bridge, which was the dullest Test match I have ever witnessed in this country. England (without Stokes): Cook, Jennings, *Root, Pope, +Bairstow, Buttler, Woakes, Curran, Rashid, Broad, Anderson. England (with Stokes): Cook, Jennings, *Root, Pope, +Bairstow, Stokes, Buttler, Woakes, Rashid, Broad, Anderson. Will Ollie Pope keep his place? Leaving aside for a second the fact that I would still have at least one of Nick Gubbins and Rory Burns in this squad, the major issue seems to be how not to overstuff the team with allrounders. 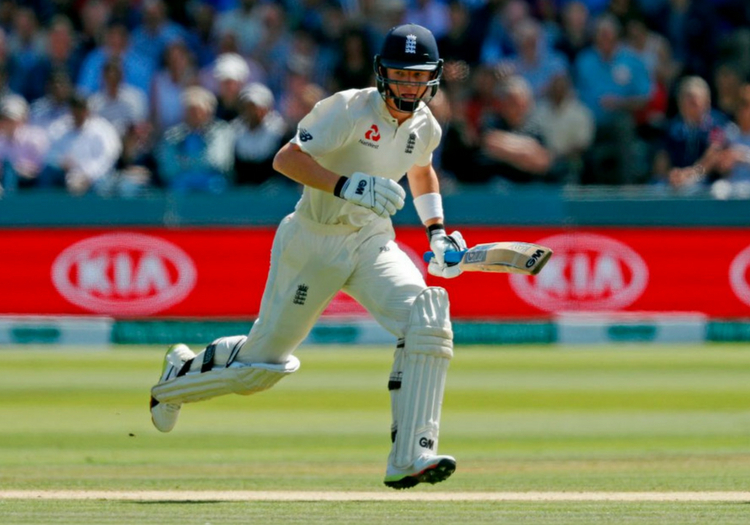 Chris Woakes is undroppable after his contribution at Lord's and what kind of message would it be to Sam Curran to tell him he'll have to sit a game out after his impact in this series (I thought he was impeccable as the foil to Stuart Broad during the Notts man's devastating second-innings spell at Lord's, in addition to his electric batting). If Ben Stokes is available, then surely Ben Stokes goes into the team and Ed Smith isn't likely to drop Adil Rashid after the poor guy didn't even get a chance to warm up for a spell at HQ. So what are we left with, in the event that Stokes is clear to play? The fact of the matter is that we have to trim the trio of Ollie Pope, Jos Buttler and Stokes down to two. Buttler might not yet have a score in this series, with 25 runs in three knocks, but he is the flagship pick of the Ed Smith era. Sadly, then, it's Pope that gets cut. Call it rotated if you must, but Pope's real time in England colours is to come. 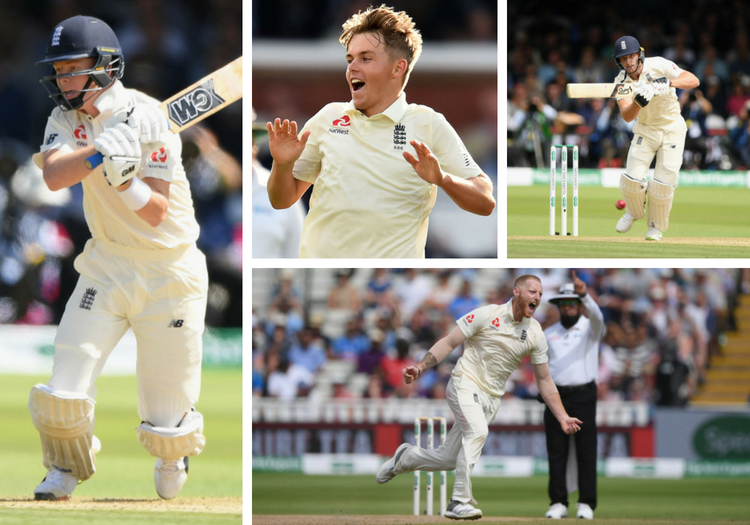 Jonny Bairstow's impressive form with the bat means that No.4 is not a move made out of desperation, and Stokes is good enough to take No.5, particularly with the middle order of Buttler, Woakes and Curran. Besides, India have not shown the slightest suggestion England are going to need more than two batsmen per innings to fire in order to overpower their guests. Jamie Porter misses out again, though should England win at Trent Bridge and take the series there is a case for one of Broad or Jimmy Anderson to be rested to give the Essex quick his chance. Moeen Ali, meanwhile, will have to wait for Rashid to actually bowl a spell of any substance. England (with Stokes): Cook, Jennings, *Root, +Bairstow, Stokes, Buttler, Woakes, Curran, Rashid, Broad, Anderson.